Official Account of 9/11: "Impossible", "A Bunch of Hogwash", "Fatally Flawed"
December 13, 2007  Seven former senior engineers and scientists of the Federal government have severely criticized the official account of 9/11 and called for a new investigation. They are among a rapidly growing number of engineering, scientific, and architectural professionals challenging the government's story. “A lot of these pieces of information, taken together, prove that the official story, the official conspiracy theory of 9/11 is a bunch of hogwash. It’s impossible,” said Lt. Col. Robert Bowman, PhD. . With doctorate degrees in Aeronautics and Nuclear Engineering, Col. Bowman served as Director of Advanced Space Programs Development under Presidents Gerald Ford and Jimmy Carter. During his 22-year Air Force career, Col. Bowman also served as the Head of the Department of Aeronautical Engineering and Assistant Dean at the U.S. Air Force Institute of Technology. He also flew over 100 combat missions in Viet Nam as a fighter pilot. A highly esteemed researcher, Dr. Griscom spent 33 years at the Naval Research Laboratory in Washington, D.C. He is a Fellow of the American Physical Society. He was the recipient of the 1993 N.F. Mott Award sponsored by the Journal of Non-Crystalline Solids, the 1995 Otto Schott Award offered by the Carl-Zeiss-Stiftung (Germany), a 1996 Outstanding Graduate School Alumnus Award at Brown University, and the 1997 Sigma Xi Pure Science Award at NRL. 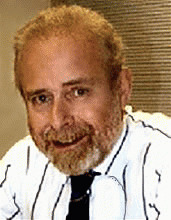 He is the principal author of 109 of his 185 published works, a body of work highly cited by his peers. Dr. Hirschhorn also served as Director of Environment, Energy and Natural Resources for the National Governors Association. He’s testified more than 50 times before Congress on technology, science, and environmental issues. Prior to his government services, he was Professor of Metallurgical Engineering at the University of Wisconsin, Madison 1965 - 1978. Another senior Federal engineer who questions the official account of 9/11 is Enver Masud, MS, PE, former Chief of the Strategic and Emergency Planning Branch, U.S. Department of Energy. An expert in electrical power grid management, he has consulted for the World Bank, the European Bank for Reconstruction and Development, and the United States Agency for International Development in Albania, Czech Republic, Egypt, Ghana, Indonesia, Latvia, Norway, Pakistan, Russia, Tanzania. 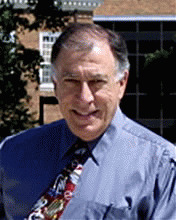 Prior to his employment by the DOE, he served as Director of the Office of Engineering at the Public Service Commission in Washington, D.C.
Another prominent skeptic of the official account of 9/11 is James Quintiere, PhD, former Chief of the Fire Science Division of the National Institute of Standards and Technology (NIST), who has publicly called for an independent review of NIST’s investigation into the collapses of the World Trade Center Towers on 9/11. Dr. Quintiere, one of the world’s leading fire science researchers and safety engineers, also encouraged his audience of fellow researchers and engineers to scientifically re-examine the WTC collapses. “I hope to convince you to perhaps become ‘Conspiracy Theorists’, but in a proper way,” he said. Earlier this year, Architects and Engineers for 9/11 Truth created an online petition  urging Congress to immediately reinvestigate 9/11. More than 230 architects and engineers have signed the petition as of the date of this publication. Among the signers are Joel Hirschhorn and Enver Masud (both mentioned above), Dwain Deets, MS, and Edward S. Munyak, MS, PE. Mr. Deets also served as Director of the Research Engineering Division at Dryden. He is the recipient of the NASA Exceptional Service Award and the Presidential Meritorious Rank Award in the Senior Executive Service (1988). He served at NASA for 37 years. Edward S. Munyak, MS, PE, has over 20 years experience as a Fire Protection Engineer for the U.S. Departments of Energy, Defense, and Veterans Affairs. He is a contributing Subject Matter Expert to the U.S. Department of Energy Fire Protection Engineering Functional Area Qualification Standard for Nuclear Facilities. He serves as a member of the Board of Directors for the Northern California - Nevada Chapter of the Society of Fire Protection Engineers. A Licensed Professional Mechanical Engineer and Fire Protection Engineer in the State of California, Mr. Munyak currently serves as Fire Protection Engineer for the city of San Jose, California, the 10th largest city in the United States. Critically important questions about 9/11 still remain unanswered six years after the terrible events of that day. As the statements of these seven senior Federal government engineers and scientists demonstrate, the need for a new thorough, and independent investigation of 9/11 is not a matter of partisan politics, nor the demand of irresponsible, deranged, or disloyal Americans. It is instead a matter of the utmost importance for America’s security and the future of the entire world. Additional information on skeptics of the official account of 9/11 can be found in the author's other articles on this subject. Sept. 23, 2007 - Seven CIA Veterans Challenge 9/11 Commission Report - Official Account of 9/11 a “Joke” and a “Cover-up” featured statements by CIA veterans Raymond McGovern, William Christison, Melvin Goodman, Robert Baer, Robert David Steele, Lynne Larkin, and David MacMichael. Sept. 5, 2007 - U.S. Navy 'Top Gun' Pilot Questions 9/11, featured the statement of Commander Ralph Kolstad, U.S. Navy ‘Top Gun’ pilot. Sept. 4, 2007 - Former Congressional Office of Technology Assessment Senior Staff Member Calls for New Investigation of 9/11 featured the statement of Joel S. Hirschhorn, Ph.D., who served for 12 years as a Senior Staff Member of the Congressional Office of Technology Assessment and later as Director of Environment, Energy and Natural Resources for the National Governors Association. Aug. 27, 2007 - National Academy of Sciences Member Calls for New 9/11 Investigation featured the statement of Lynn Margulis, Ph.D., world renowned scientist. Aug. 21, 2007 - Former Chief of NIST's Fire Science Division Calls for Independent Review of World Trade Center Investigation featured the statement of James Quintiere, Ph.D., one of the world's leading fire science researchers. 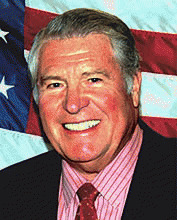 July 16, 2007 - Former California Seismic Safety Commissioner Endorses 9/11 Truth Movement featured the statement of J. Marx Ayres, former member of the National Institute of Sciences Building Safety Council and former member of the California Seismic Safety Commission. Eight Senior Republican Appointees Challenge Official Account of 9/11 - "Not Possible", "a Whitewash", "False"